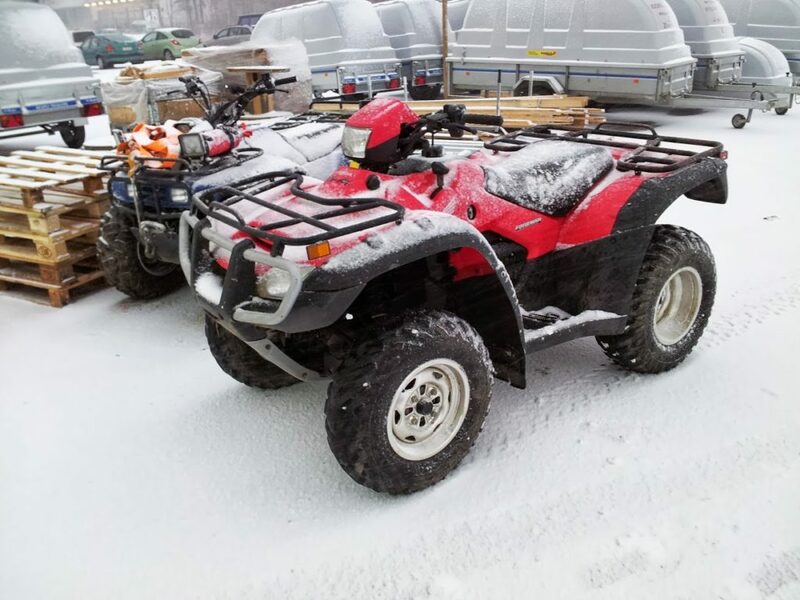 ”Former owner have used Honda just for snowwork and owner before that have been deer man in lapland, north part of Finland. Both owners have forgot the service. So Big Blue was really used”. “Honda didnt looked so good anymoore. Actually it looked sad, very sad. Snowplow mounting kit have eated metal from frame and there was several holes in a frame, there was lot off rost in a frame and under the front a-arms there wasnt any metal left. You can just imagine how many kilometers or hours Honda have been used. All drive shaft rubber covers where broken and battery was dead”. ”First i took racks and plastics away from Honda. After that i washed atv and took all lights away. ” Old racks i hammered straight and after that i painted those. All plasticks where totally ok. Old Hondas have very good plasticks, thanks to quality. Material is elastic and those last even in cold wheather very good”. “After that i changed all oils, filters and i made valve adjustement. Honda didnt had any idle speed and very soon i found problem for that. When i cleaned carburator i noticed that there is missing one o-gasket. So i ordered new gasket set for carburator and after that Honda worked like swiss clock! Transmission, clutch and whole powerline worked perfect. After that i replaced new battery and drive axle boots”. “I had to spend several hours with brakes but finally i found new drums, brake shoes and cylinders. Brake cables i just cleaned and lubricated”. ”Next frame. I had to weld several hours but after that and painting it was ok, actually stronger than original frame. As a original Honda dont have footsteps, just footbegs. So i made own desing metal nets for Honda, it felt so unsecured to drive with out those”. “Then skidplate. 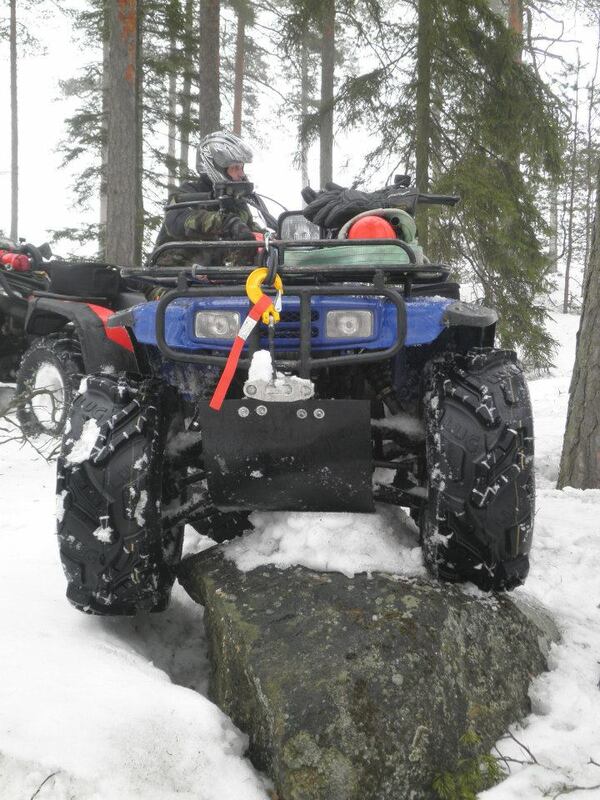 Off course its unpossible to find skidplate for so old atv but thanks for IRON BALTIC, Estonian professionals made taylor made plasctic skidplate for my classic Honda. ”When Honda was technically ok and also outlook was better, i had to think about accessories. Original 11″ wheels i changed 12″ and i choosed Maxxis Big Horn 25″ tyres. I have tested also 26″ Innova Lug Gears but lighter Maxxis Big Horn 2.0 is exellent choice for old Honda. Honda had winch but it was totally dead, i replaced that for Ramsey 2500 with rope and from IRON BALTIC i got aluminium winch rope fairleader”. “Original lights worked but off course driver needed moore light. I installed 2 pcs 15W LED – working lights to the front and one xenon light middle of the front rack. To rear i installed one 18W reversing light. After that i installed IRON BALTICs soft gargo box, Garmin NUVI 500, 2″ risers and off course hand and thumb heaters”. ”When Honda was almost better than from factory i drove with that aproxx. 200 hours per year basic off road and fiew atv orienteering races. Honda was very reliable and it was very easy to drive off road with that. That is benefit when races are 10 -12 hours long”. “Off course ground clearance can be higher, engine can have moore than 21 hp and drivers postion can be moore comfortable. But Honda is very light to drive and fuel consumption is low and it does not sit so deep in mud than big and powerfull machines”. “Those are benefits in long races”. ”After 2 years active driving it was time live Honda to garage, actually i bought Honda Rubicon. But now i use Honda for snowpushing and other similar basic jobs. 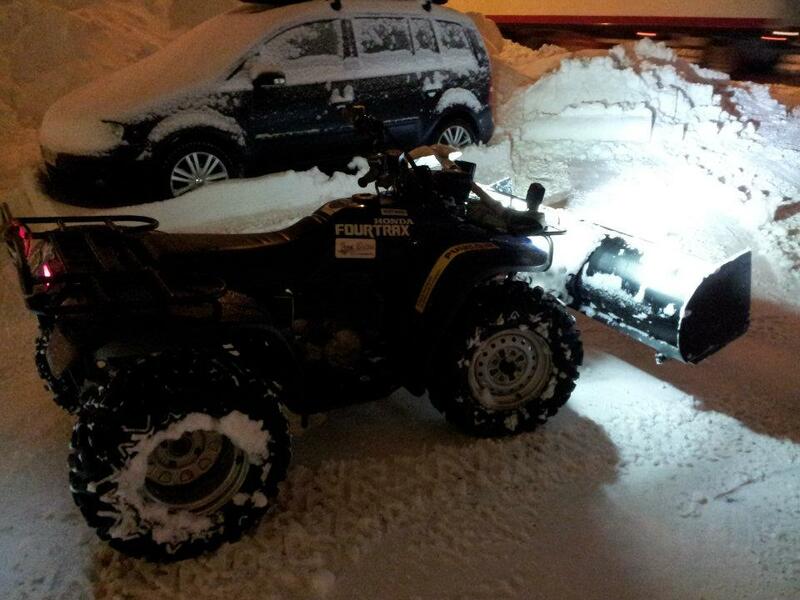 Honda have IRON BALTIC universal mountinkit + 150cm snowplowset”. Sauli Lesonen, owner of the Big Blue. Personally i am happy that i sold Honda to my friend Sauli. 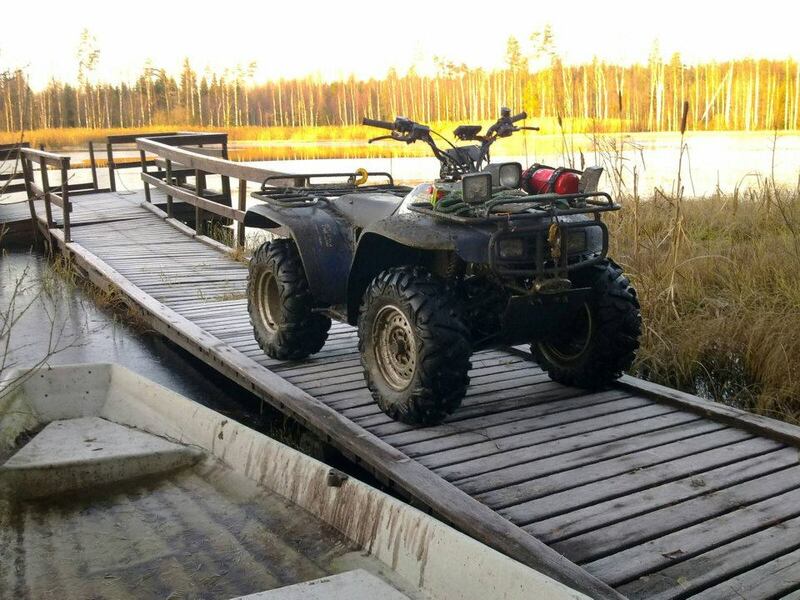 10 -15 years ago we didnt had so many old school atvs or atvs at all in Finland than nowadays. Back in 1991 atvs was just for deermans and other special groups. Also i am glad that Sauli had interest to build Honda Big Blue for use and he really have used that. Actually he still use that. I really hope that he have time to visit in west Estonia with Big Blue, i believe that we both have lot off memories of that. 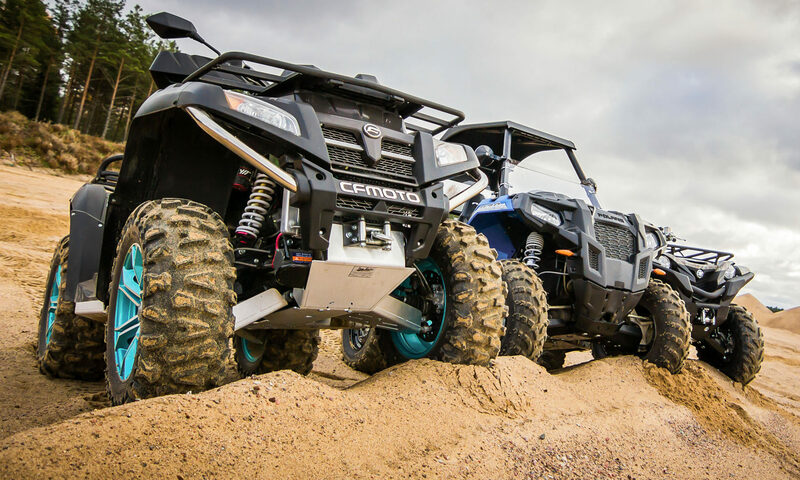 Mr Jukka Helminen, editor off Finnish Mönkijä – Lehti (atv magazine) have said that only iron rail last better than Honda TRX 300. Previous PostPrevious Adomas Gančierius, ATVs are my LIFE!